Product prices and availability are accurate as of 2019-04-09 15:16:50 EDT and are subject to change. Any price and availability information displayed on http://www.amazon.com/ at the time of purchase will apply to the purchase of this product. 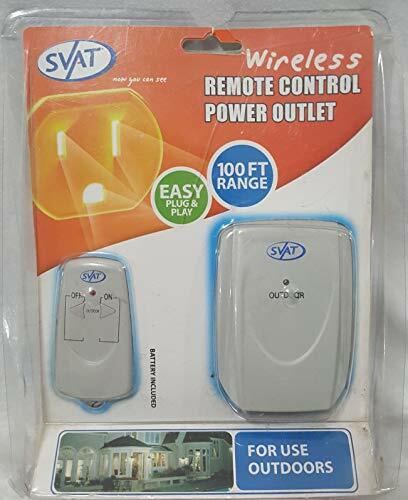 This technologically advanced wireless electronic remote switch can control virtually everything in your house with just the push of a button. 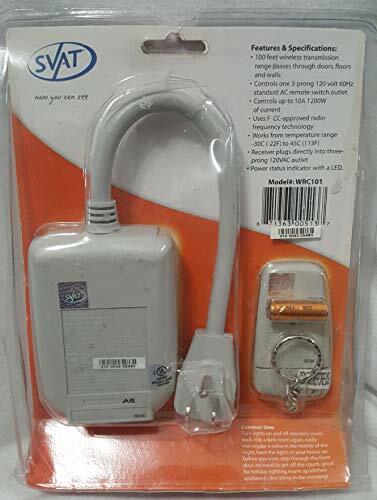 Control lamps, radios, or other electrical devices from up to 100 feet away, even through walls and floors, with this radio frequency wireless remote control. The receiver plugs directly into any three-prong outlet, and provides a remote switched three-prong outlet to allow radio frequency on & off control for a wide variety of electrical devices. The control unit, with keychain, is more than small enough to fit into your pocket, but its signal will work up to 100 feet away from the receiver even from inside your car.